Art update plz. Wow, just four weeks passed since my last entry! NEW RECORD! !1 Nyah okay. This month passed very quick and I actually made 2 (!) drawings. Adore my awesomeness!! 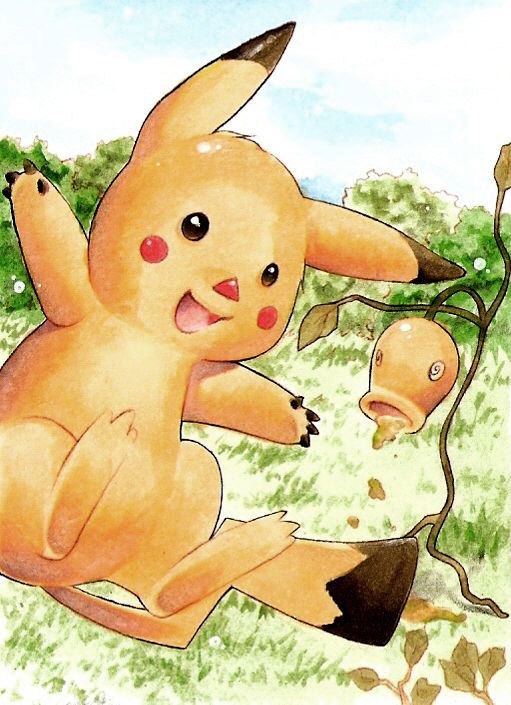 You maybe think "WTF IS WRONG WITH PIKACHUS NOSE?!?!!1ASDF! !1 D8" But let me tell you, that this is not Pikachu. It's Trikachu! 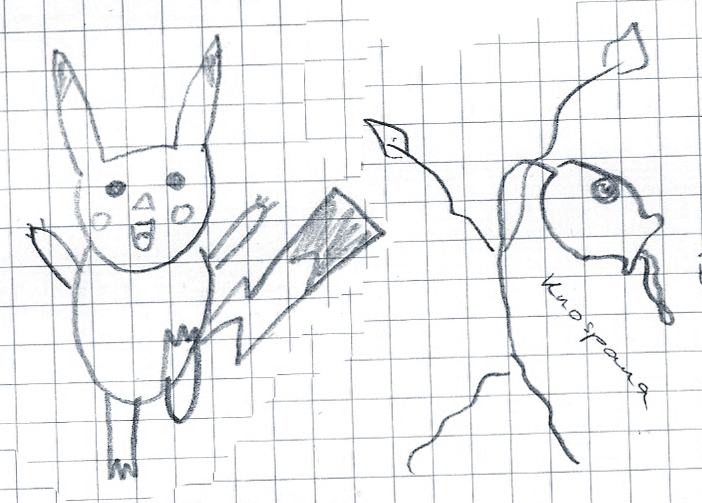 Based on the drawing of a friend, who once wanted to draw a Pikachu at school and didn't remember, how a Pikachus nose looks. (I should mention, that she's not into anime or drawing or anything like that) So she asked me, and I replied "It's nothing special. A standard comic-animal nose, you know. That kind, that looks like... a triangle... 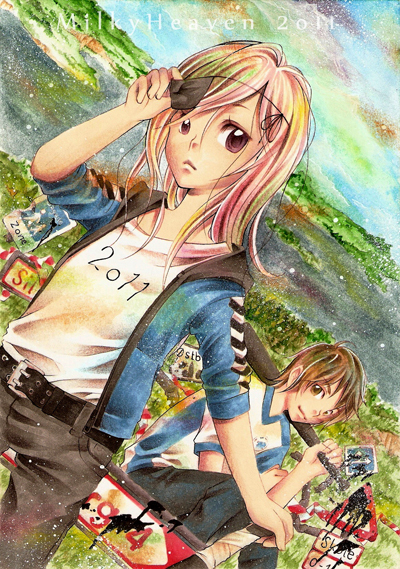 I guess... °_°" And so she drew, what you can see on the sketch below. It's her awesome original sketch, which I own now!1 Proudplz.